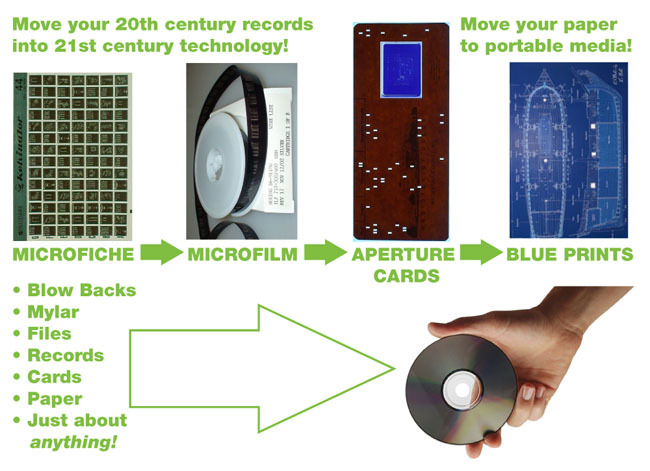 Move your 20th century records and documents into 21st century technology. With BCPI, you can use modern, effecient time saving and space saving technology without losing your stored documents and records. Move to a reliable, portable system. If you're ready to upgrade, read about our imaging options here, or contact us with your particular situation details. You can go beyond file cabinets and flipping through hundreds or thousands of sheets of paper trying to find the one item you're needing. With your documents moved into a digital system, you can search the database by keyword or phrase and quickly find what you're needing. Data Conversion & Scanning with OCR, ICR, OMR and Raster Scanning. Read about our complete imaging and scanning services. Or contact us.